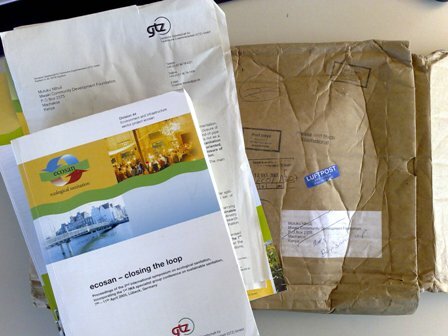 In case you’ve been wondering why you’ve never received the desired ecosan information material from GTZ…well…I’ve received that particular parcel today which was returned to our office. “Boy’s given up”, it says on the address sticker. The letter inside is dated December 18th, 2003.